Orlando, Florida-based rock legends Alter Bridge are today announcing that they will return to New Zealand and Australian shores in April 2017, presented by MJR Presents. Early October 2016 saw Alter Bridge release their latest studio album THE LAST HERO – featuring new single ‘Show Me A Leader’. 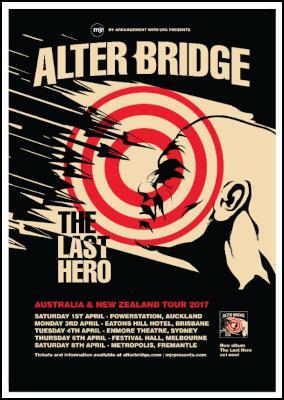 With an obviously loyal and ravenous fanbase down under, Alter Bridge are coming to New Zealand to celebrate the success. 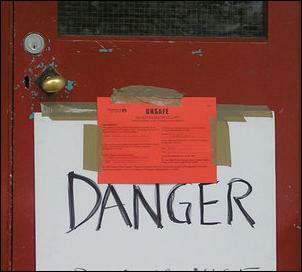 Alter Bridge's album FORTRESS was released in 2013 and it was clear their fans were eagerly waiting for them to return. Now the rock juggernaut comprised of Myles Kennedyon vocals/guitars, Mark Tremonti on guitars/vocals, Brian Marshall on bass and Scott Phillips on drums are returning to New Zealand and Australia on the back of their fifth album, THE LAST HERO. The new release is a monster that builds upon the sound that Alter Bridge has become known for with their uncompromised vocal melodies, untouchable dueling guitar work and pounding rhythm section. Founded in 2004, the quartet immediately went gold in the US with their debut album ONE DAY REMAINS – and that was just the beginning. Each and every subsequent critically acclaimed release would hit the top album charts in Alter Bridge`s home country, find partnerships with the likes of WWE, MLB and ESPN, and concerts around the globe created a legion of supporters known as the AB Nation! Europe also pledged their allegiance. Alter Bridge`s 2013 effort FORTRESS gave the band their highest chart entries in Germany, the UK, Austria and Switzerland. Produced by Michael “Elvis” Baskette (Slash, Trivium, Tremonti etc) and mastered by Grammy award winner Ted Jensen, THE LAST HERO is the diversified and resolute rock album we have all been waiting for: welcome back, Alter Bridge! 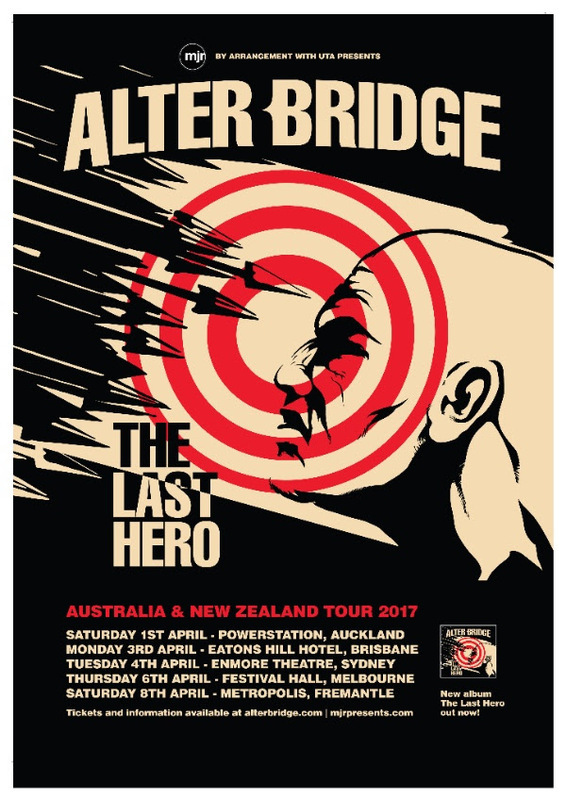 The ALTER BRIDGE – AUSTRALIA/NEW ZEALAND TOUR 2017 goes on pre-sale Wednesday November 2 at www.mjrpresents.com and then on general sale Friday November 4. Find more from MJR Presents on InfoPages.